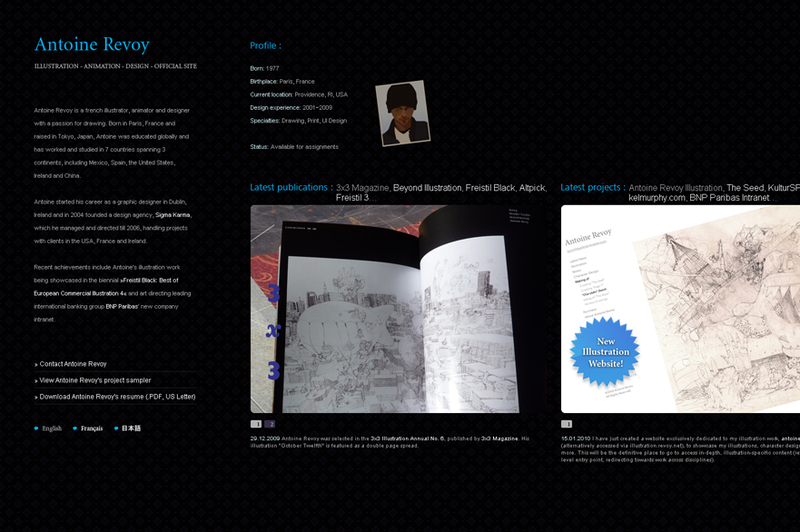 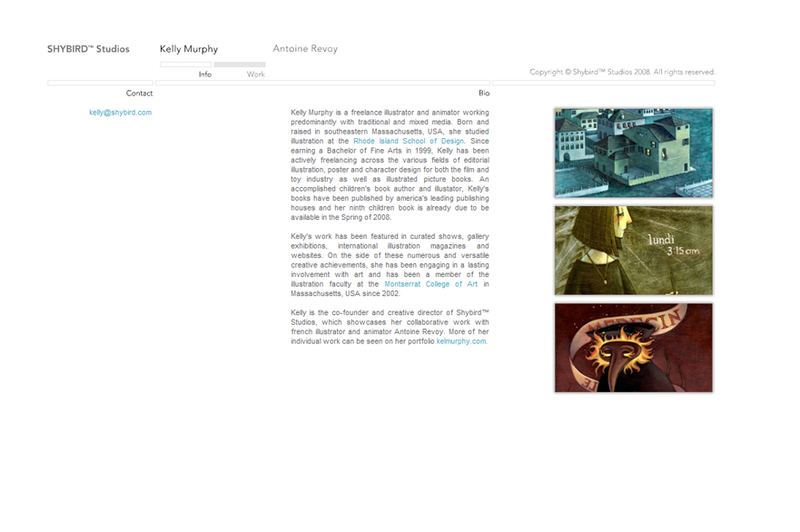 The website of Shybird™ Studios, home of Antoine Revoy's collaborative work with illustrator and animator Kelly Murphy (2008). 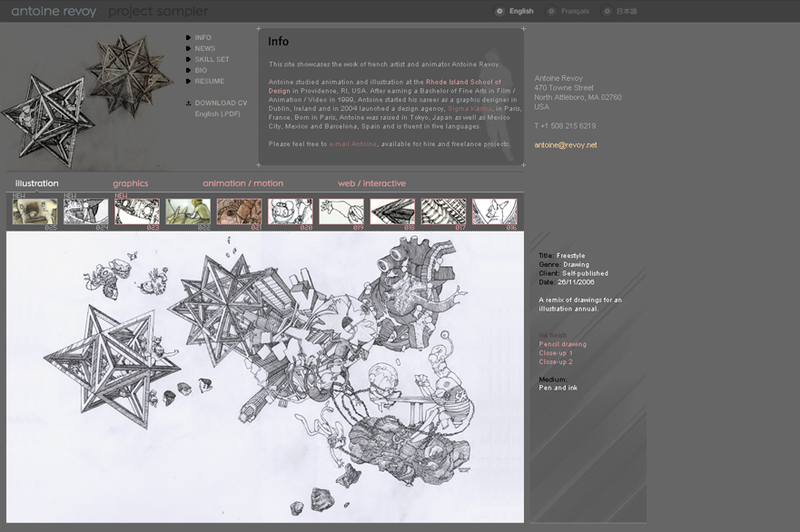 This site's previous version (07/2006). 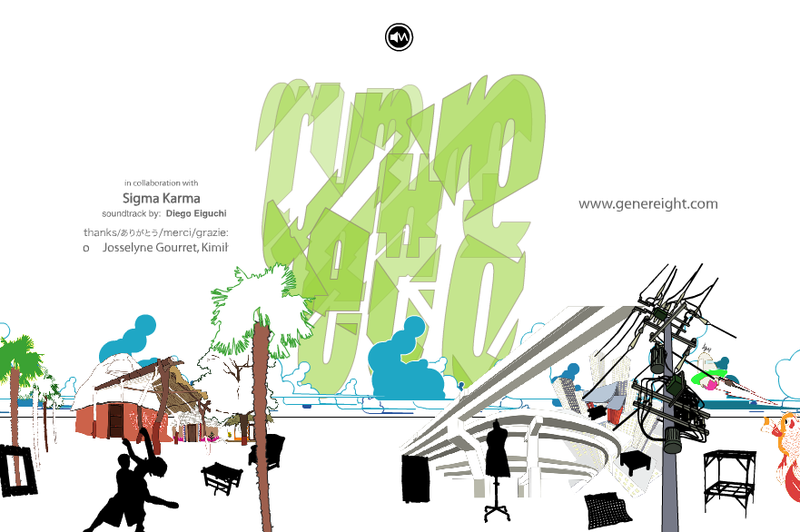 Web design assistance to japanese design firm Genereight Inc. (02/2005). 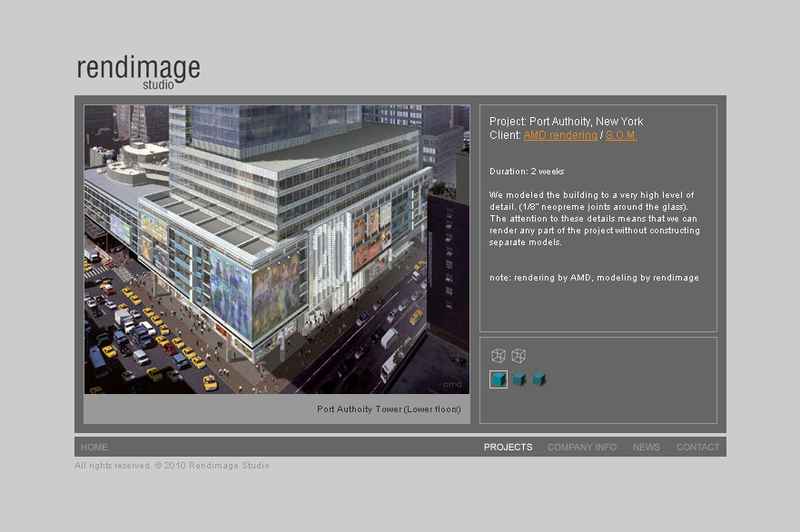 Project showcase for architectural modeling and rendering firm Rendimage (11/2003).